Madiba Day 2015 saw many projects aimed at giving back take place across the country. in uMhlanga Rocks, two such projects were undertaken by the Beverly Hills Hotel and Salamander Residential Block. 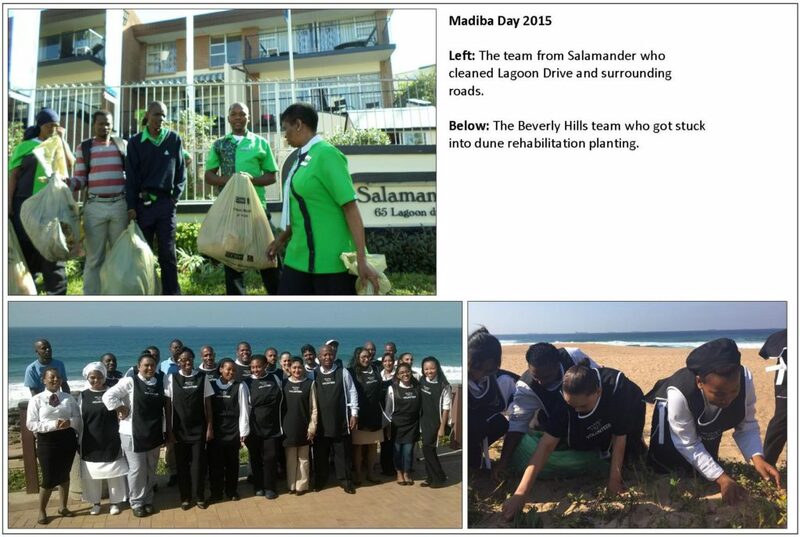 A team from the Beverly Hills Hotel assisted in the on-going dune rehabilitation programme by planting up the area along the southern beaches. The Salamander team did a full clean up of Lagoon Drive, Newlands and Park Drives, with the UIP providing rubbish bins and removing all the bags after the collection. Thanks to these teams and everyone else who did their bit.